In the late 70's xerox machines were in their infancy - used extensively in bussiness, but only rarely in art. Chase began working with another artist, Simo Neri, who worked in a copy shop, and they experimented with modifying the color settings in thecopiers. 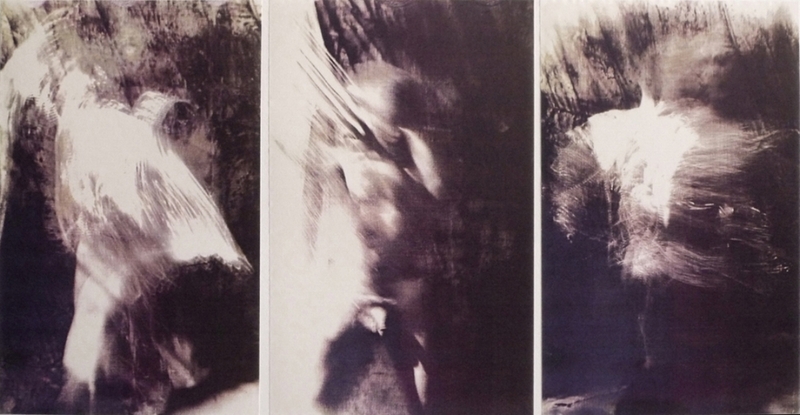 Many of the visual ideas run throughout Chase's works - sequential change, movement and emotion, surreal elements mixed with austere backgrounds, and a whimsical sense of irony, Many of these works entered museums during this period, considered some of the last work in the field of xerox. Modern printers are completely flexible, and the resources of photoshop have made this type of work obsolete.